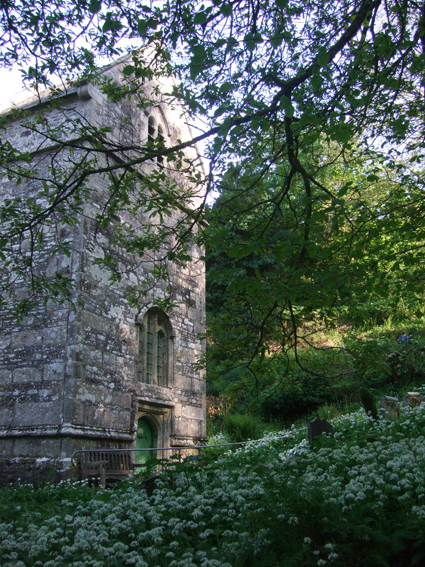 Ever since I heard Dr Helen Cornish talk about Joan Wytte, the Fighting Fairy Woman of Bodmin, at the Assap conference Seriously Bewitched, I had wanted to find the grave of Joan - a famous Cornish witch, who might in reality be little more than a folk tale, but has a story that is fascinating none the less. Joan's skeleton was given to the Museum of Witchcraft in the 1960s. 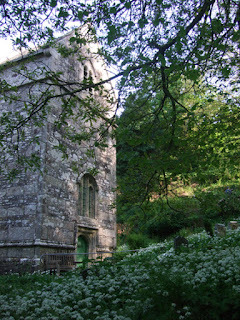 Its founder, Cecil Williamson, said the skeleton was the mortal remains of Joan Wytte, a cunning woman of Bodmin. She ended up in jail for fighting rather than witchcraft, but she died there of pneumonia. In Bodmin Jail, there is another story. It was said that a séance around the skeleton was so terrifying the bones were locked away. After many years they went to a doctor’s surgery, then were bought by Cecil for the museum where the skeleton was hung from a wall on display. In 1996 the new owner of museum took her down and put her in a wooden coffin. However, many people felt that it was inappropriate to have her on display like that and that she wanted to be buried. So, she was later put in a soft coffin and buried in the woods. Now there is a small exhibit about her on wall of the museum with a picture and descriptions of local historic folk magic practices. 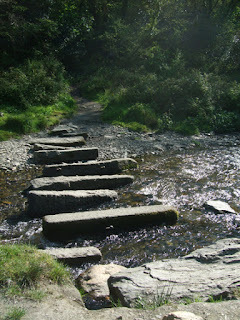 I bumped into Dr Helen Cornish again at the cursing conference last weekend and she gave me directions to Joan's grave. Together with my hubby and my witchy friend Bekie, I set off on a gorgeous sunny Sunday afternoon on a quest to find her. The path led us along the riverbank, then across the river and up a steep path through bluebell woods to Minster Church. Joan's grave is just outside the boundary wall of the old graveyard. The site is absolutely beautiful. As you can see in the photos, the ground was covered in the white flowers of wild garlic and I must admit we did a tiny bit of foraging for leaves to cook for supper. The walk took about an hour each way, but was worth it. 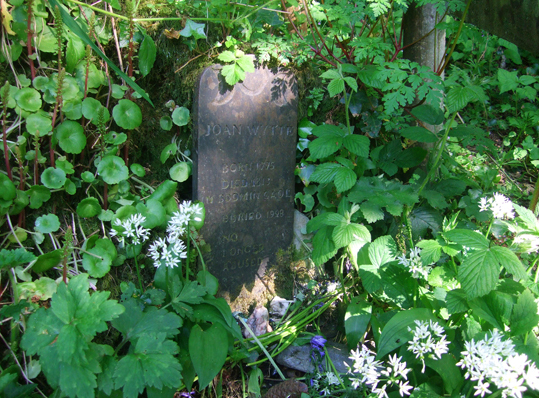 If you are in Boscastle visiting the Museum of Witchcraft, do also go to find Joan's grave yourself. When we were there we poured her a small libation of fruit drink - as that was all we had with us. 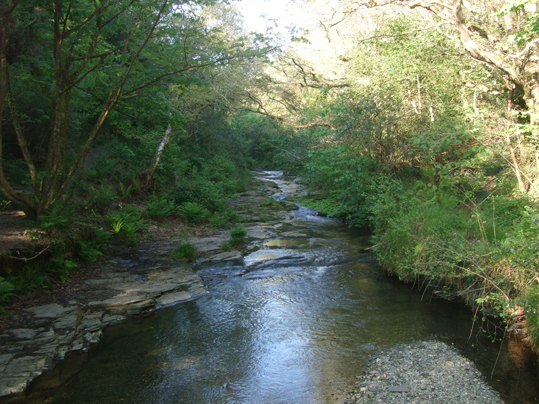 But we got the sense that the Fighting Fairy Woman of Bodmin might actually have preferred a little gin. It was indeed both a quest and a glorious walk and would recommend anyone to go.. such a tranquil spot for her to end time. A lot of these Ladies seemed to like a little gin. This Lady lived close to my home. Thanks for that link - looks interesting!